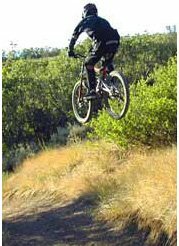 Electric-Bicycle-Guide.com offers low cost highly targeted online advertising. By advertising on Electric-Bicycle-Guide.com, you are directly addressing a large group of electric bicycle owners or wannabe owners. These are highly targeted potential customers. One-Page type of ad will get you the most targeted audiences. Your ad will run on a page which is highly relevant to your business. For example, if your ad is about electric bicycle kits, it will be placed on the electric bicycle kits page. The price for one-page ad is 25$ per month. Discounted rates available for long term and/or multiple pages ads (see below). Discounted rates available for long term ads (see below). If you want to maintain your "electric bicycle company page" on this website, it's totally free. Move on to Your Electric Bicycle Company Page for more details. An automatic recurring billing will also be available which you can cancel at any time. Do You Want to Advertise on Electric-Bicycle-Guide.com?